Migraines are a type of recurrent, paroxysmal, neurovascular headache with or without associated visual and gastrointestinal disturbances. According to Western medicine, their etiology is unknown, but a genetic predisposition is strongly suspected as family history accounts for about 50% of cases. Some researchers posit that its due to a combination of an inherited sensitive nervous system exposed to sudden changes in internal or external environment. Research also shows that serotonin levels drop at the onset of a migraine headache but are normal between attacks. 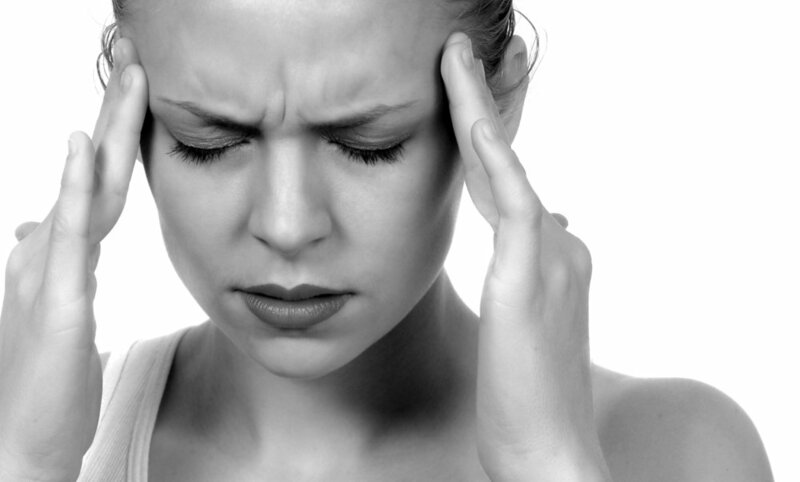 Migraines may occur at any age but onset usually begins between the ages of 10 and 30 years. They occur more often to women than men due to hormonal fluctuations. Attacks may or may not be preceded by a prodrome. These can include depression, irritability, restlessness, anorexia, scintillating scotomas, visual field defects such as tunnel vision, paresthesias, and more rarely one sided paralysis. These symptoms may disappear shortly before the pain begins or may merge with it. Certain factors can provoke or trigger a migraine in some people. Among the foods which may trigger a migraine are alcohol, especially red wine, MSG, tyramine containing foods, such as aged cheeses, and preserved meats with nitrites/nitrates. Other factors include too much or too little sleep, fluctuations in female hormones, stress and anxiety, and environmental factors, such as weather (pressure, temperature changes), chemical exposure and strong odors, glaring or fluorescent lights, computer/smartphone/TV screens, and high altitude. Pain is either one sided or generalized. Untreated attacks may last for hours or days. Nausea, vomiting, or light sensitivity are common. Some people experience a climax culminating in vomiting and diarrhea after which pain subsides. Other sufferers find their pain subsiding only after sleeping. Attack frequency may be daily or once in several months. In women, attacks may occur either before, during, or after menstruation or at ovulation. Some women’s migraines begin at puberty and end at menopause. The Western medical diagnosis of migraines is largely based on the patient’s personal and family history and the presenting signs and symptoms plus an absence of any intracranial pathological changes. The Western medical management of migraines can be divided into nonspecific therapy with analgesics and specific therapy with serotonin receptor agonists. The analgesics include over the counter NSAIDs with or without caffeine. While they have been found to diminish severity and duration of migraines they may have side effects of acid reflux and gastric bleeding. Stronger analgesics are a sedative combined with aspirin or acetaminophen. These should be used cautiously as rebound headaches can occur if recommended dosages are exceeded. The strongest pain relievers are an opioid/narcotic in combination with aspirin/acetaminophen. Specific therapy is based on drugs which act at the 5HT receptor sites which are aimed at blocking neuropeptide release and prevent neurogenic inflammation. In Chinese medicine, migraines are said to caused by internal damage by the seven affects, unregulated eating and drinking, and the exuberance and debility of maturation and aging as well as the waxing and waning of yin and yang with the menstrual cycle. The main disease mechanism all involve the liver as the liver is closely linked to the nervous system. If the liver becomes depressed due to emotional stress, the qi will become stagnant and thereby inhibiting the channels of energy and causing the headache. If liver depression counterflows horizontally, it may attack the stomach resulting in nausea and vomiting. If liver depression transforms into heat (irritability, anger, stress), it may flare upward and inflame the fluids above in the head causing stagnation in the channels there. Because the head is a “bony box”, any counterflow of energy upwards has no exit and stagnation is always the result resulting in pain. This upward flow of yang energy is often seen in women’s menstrual cycles at midcycle when ovulation occurs and LH spikes causing a rise in internal temperature. Women who are anemic may also suffer from a similar mechanism, as a lack of blood (considered yin) is to nourish the body causing a relative heat in the body (think of not having enough oil in the car). Another mechanism causing migraines is where the Spleen is damaged due to improper diet (too much sugar, carbs, alcohol, spicy food, fried foods, dairy). These foods cause the Spleen to weaken and this creates dampness which with the liver heat produces phlegm which ends up upstructing the vessels/channels. If the flow of qi and blood is inhibited for a long time (chronic), then blood stasis may complicate any existing scenario and adds more time in the prognosis in treatment. This blood stasis that enters the network vessels is what causes localized, severe sharp stabbing pain. Treatment in Chinese medicine is based upon pattern differentiation. Most cases of migraine involve the liver, whether liver qi stagnation with spleen deficiency, liver qi stagnation with heat, liver yang rising, liver wind stirring internally, or liver blood-kidney yin deficiency with fire. Phlegm dampness and blood stagnation then may complicate these patterns. As with Western medicine, the Chinese medicine treatment protocols also involve acute treatment during an attack and preventative treatment between attacks. Treatment is usually a combination of acupuncture to unblock the channels, balance the yin and yang hormones, stop the pain, decrease inflammation. In addition, Chinese herbal formulas are prescribed for differing patterns and are used to tonify blood, extinguish wind, move liver qi, and tonify yin. Cases complicated by phlegm dampness and blood stagnation usually take longer to treat. Cases where yin is exhausted also takes longer to treat as yin is a much more long-term treatment protocol. Cupping therapy or Gua sha treatment are often used to unblock stagnant energy near the neck and upper back. Dietary recommendations usually involve staying away from trigger foods such as: chocolate, wine, cheese, coffee (sometimes), and patients are instructed to find a daily relaxation regimen such as deep breathing, yoga, meditation, in addition to regular exercise. Migraines often occur during weekends or after long periods of stress are over. Migraines may sometimes be aborted by anything which leads the qi to move downward. This includes placing the hands or feet in cold water, or eating. Patients with frequent headaches often overuse OTC analgesics which over time can create dependence on these medications and create rebound headaches which complicates their condition. The possibility of analgesic rebound headache should be considered if a patient reports analgesic use more than three times per week for headaches and especially if daily use is reported. 20% off treatments for migraine in April 2019! Book your appointment today!